And on we go! Two pages of rules on Rolling Armor Saves in Melee. 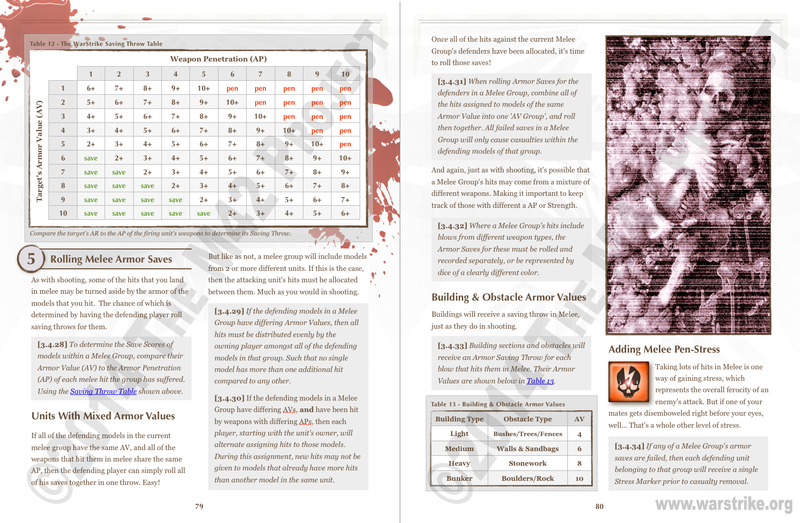 Next up is casualty removal, which if the Shooting Phase is anything to go by, should take up about a page and a half. Then maybe half a page about moving on to the next unit... blah blah, and we'll be done with Melee when I do the next rules post! After that comes the Ending Phase, which I'm guessing will take between 3 and 4 pages. Then (gasp!) the basic turn rules will be complete too! Christmas is nearly here though. So while I might be able to squeak out one more post before New Years (depending on family obligations), we're probably looking at the first or second week of January before we can get down and dirty on testing this new turn sequence.